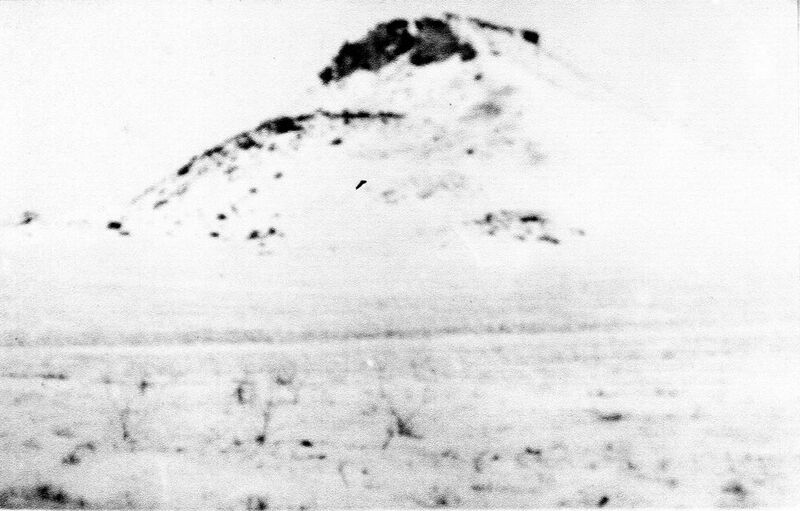 This 1935 photo shows Thunder Butte covered in snow. Winters in this part of the country can be brutally cold. In February 1936, the nearby town of Dupree recorded a temperature of -35 Farenheit, although typical winter lows are in the negative teens and twenties. Usually, 5-8 inches of snow might fall in any winter month, although some winters see far more. A blizzard in this part of the country could lead to snow drifts that might bury someone in their home, in which case they would either dig out or perish. Before paved roads--which are still somewhat distant from the butte--and snow plows, someone living out here would have been cut off from far flung neighbors and friends for days or weeks at a time following a major snow storm. A trek into the nearest town would have been virtually impossible.